CHICAGO — Subaru of America unveiled its seventh-generation Legacy sedan during the auto show’s press preview days, including a new tagline that plays off the automaker’s overarching “Love” theme. Social and digital will be a focus with the campaign, he says. 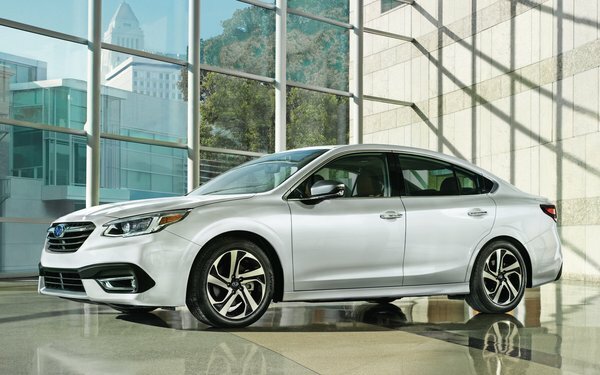 The marketing will emphasize that the 2020 model-year version of the Legacy (a nameplate which has been around for 30 years) is the safest and quietest, with the largest interior. When the car was tested with consumers, they really loved the interior, he says. Subaru uses psychographic rather than demographics, and the target for the Legacy is someone who already likes sedans. Subaru hopes to pick up some of the customers who might have bought one of the sedans that are being eliminated. 1 comment about "Subaru Unveils Tagline For Restyled Legacy Sedan". Jennifer Jarratt from Leading Futurists LLC, February 11, 2019 at 10:11 a.m. I thought my 4th Subaru would be an electric vehicle, at least, if not self-driving. However, the company seems to have decided to copy the current market and just add a bit of space, be a bit more Volvo-like. No doubt they know their potential consumers better than I do, but it sounds like the end of a distinctive brand that had some unique characteristics.